One Plus One offer is industry’s first one of its kind offer through which all Zong mobile broadband customers (new and existing) will get a free Zong PLUS ONE SIM with free internet volume, voice minutes & sms. A ZONG SIM will be paired with MBB SIM and in order to ENJOY FREE resources on ZONG SIM customer has to continue subscribing to MBB bundles. Q. Which customers can avail MBB One Plus One Offer? Q. What are the requirements to avail free SIM? A. In order to avail FREE ZONG SIM (i.e. Plus ONE SIM) customer will have to visit nearest ZONG CSC, Franchise or retailor. Plus ONE SIM will be issued on the same CNIC on which MBB Device is registered. Q. How can I check whether my mbb device is eligible for this offer? A. To check whether you're eligible for this offer simply dial *9# from any ZONG SIM and enter your MBB number or send your MBB Number in SMS to 6555. Q. If I have not subscribed to mbb bundle for last 6 months, can I still get the Plus ONE SIM? A. Yes you can still claim from Free SIM from any ZONG outlet, however the free resources will only be posted when the bundle is subscribed on the paired MBB Number. Q. I activated my Plus ONE SIM few days after my MBB bundle subscription will I get the free resources on my plus sim? A. You will receive the Free Resources on the Plus ONE SIM at the time of activation if the Monthly MBB Bundle was subscribed on the paired MBB within last 30 days. Q. Will I get the free resources on the Plus ONE SIM if have subscribed to 3/6/12 months bundle? A. Yes Free resources will be posted on the Plus ONE SIM every month in accordance with the MBB Resources posting on the paired MBB Number. A. You will receive the Free Resources on the Plus one SIM at the time of activation if the Monthly MBB Bundle was subscribed on the paired MBB within last 30 days from 26th May 2017 onwards. Q. Can I get more than one Plus ONE SIM paired with my MBB device? A. No, one MBB Device can only be paired with single Plus ONE SIM during the campaign duration. Q. Will I get free resources if I port in my other operator number to ZONG? A. Yes, MBB customers can avail FREE resources if they port in their other operator number to ZONG. Port IN should be after the offer launch date. Your MBB Device should be registered on your CNIC before the Port IN request is processed. Q. Can I change the pairing of my Plus ONE SIM and MBB SIM? A. No, pairing of Plus ONE SIM and MBB SIM cannot be changed. Q. Can MBB number and Plus ONE SIM be registered on different CNIC? A. No, Plus One SIM and MBB Number need to be registered on the same CNIC for a customer to avail One Plus One Offer. Q. What will happen if the ownership of the MBB device or Plus ONE SIM is changed? A. At any point in time after the Plus ONE SIM has been activated if the ownership of the MBB Device is changed, the free resource posting on the Plus ONE SIM will be discontinued from the MBB next bundle Subscription. Once the pairing link has been broken it can never be re-established. Q. How many times can a customer avail this offer? A. Customer will be eligible for a single PLUS ONE SIM and will get FREE resources on this SIM as many times as the customer subscribes to MBB bundles. Q. What will be the expiry of free resources? A. FREE resources will be valid for 30 days from the day of FREE resource posting on PLUS ONE SIM. A. 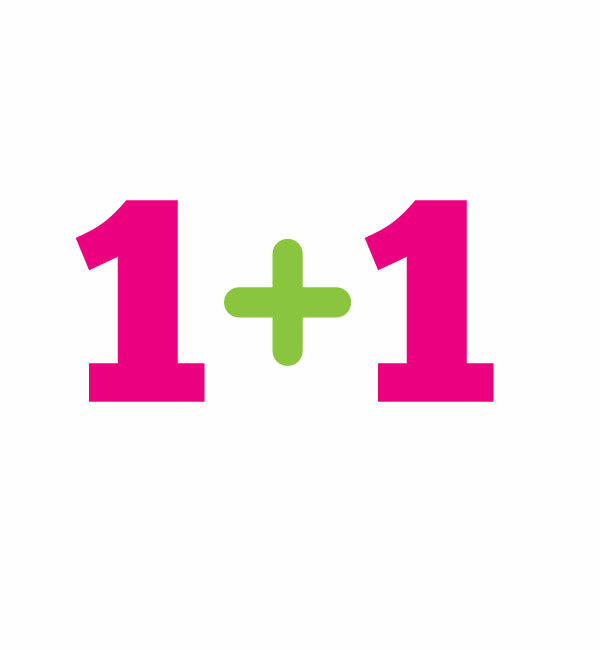 Yes any Voice, Data and SMS offer can be subscribed on the Plus One SIM. Q. How will free resources be allocated if a customer subscribes to more than one MBB bundle in a month? A. Customer will get FREE resources against all MBB bundle subscriptions. If customer subscribes to more than one bundle he will get multiple FREE resources. Q. What will happen to the free resources on my Plus ONE SIM if the MBB bundle is unsubscribed? A. Even if the MBB Bundle has been unsubscribed the Free Resources on the Plus ONE SIM will remain and complete the 30 Days validity period. Q. If I have subscribed to 75 GB 6 Months Bundle and a monthly MBB Bundle will I get free resources for both bundles on my Plus ONE SIM? Q. How can customer check free resources of the MBB One Plus One offer? A. Customer will have to dial *102# to check remaining FREE resources. Standard charges apply.